Fr. Jeff Belger is the Priest Director of the Newman Center. He is a native of Doylestown, PA (but does not remember it), and is beginning his eighth year at the Newman Center. Prior he served as Priest Campus Minister at the Newman Center and Parochial Vicar at St. Mary of the Visitation Parish. In addition to Iowa City, he has served in Clinton (Prince of Peace Parish), Pella (St. Mary Parish), and Oskaloosa (St. Mary Parish). Fr. Jeff began his discernment to the priesthood while a student at Notre Dame High School in Burlington. After working professionally as a Program Director for the YMCA in St. Louis, MO, Fort Wayne, IN, Atlanta, GA, and Nashville, TN, he returned back to Notre Dame High School as a teacher and Youth Minister. His parents and brothers continue to live in Burlington. He attended St. Meinrad School of Theology, where he earn both an MA and an MDiv in Theology. Fr. 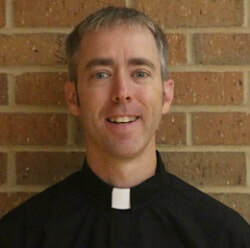 Steve Witt is a priest of the Davenport Diocese and an alumnus of The University of Iowa with a Masters in Public Affairs. He serves as Pastor at St. Mary of the Visitation Parish as well as exercising Sacramental Ministry and support at the Newman Center. 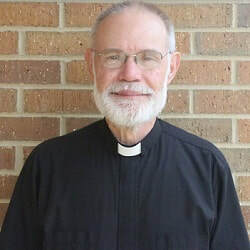 Prior to his ordination to the priesthood, he served 30 years as a permanent deacon many of which were at St. Mary, Grinnell where he ministered to the students at Grinnell College. Fr. 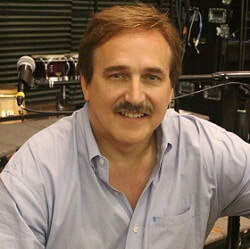 Steve has three adult children and several grandchildren. 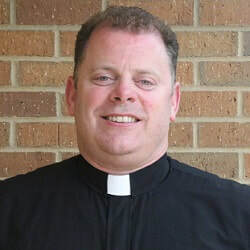 Deacon Joe Welter is a deacon of the Diocese of Davenport, and is assigned to the Newman Catholic Student Center, St. Mary Parish, and the Diocesan Office of Social Action. A native of Long Grove, IA, Joe is an alumni of The University of Iowa and has been involved at the Newman Center for nearly two decades. He is a civil and environmental engineer. He is married to Katie, a math and religion teacher in the Regina Junior and Senior High School. They have three children. Joe Mattingly, a well-known author of contemporary liturgical music, whose work is used in parishes and schools throughout the country, is the Director of Music at the Newman Center. Under his guidance, the Newman Singers have cultivated a reputation as a leading ensemble of contemporary liturgical and inspirational music. The Singers have recorded 11 CDs of original music, and they tour nationally. Ministry for the Diocese of Sacramento in California. Christine is married to Tony, a native of Iowa City, and they have one son. Laurie Harris is the Business Manager of the Newman Center. Most recently she served as the Executive Director and brings a mix of business aptitudes, accumulated from over twenty years in corporate retail, wholesale, and health care industries, and the desire to serve the mission of the Church. Before coming to the Newman Center she served as the Executive Director at Prairiewoods Franciscan Spirituality Center in Hiawatha and prior to that she was the Executive Vice President of an international diamond manufacturer. Laurie is a Franciscan Sister of Perpetual Adoration Affiliate, committed to Gospel living, with a focus on prayer, ministry and community. She is married to Chris Harris, and they have three children and a Bernese mountain dog. She is an Iowa City native, and the family is members of St. Thomas More Parish, Coralville. April Rouner has served in the development profession for over 26 years. She was the Executive Director of the Regina Foundation for the past 16 years and prior to Regina, April was a development officer for Abbe Center, Inc in Cedar Rapids for 10 years. ​April is a UI graduate and is proud to say she began her love of the Newman Center when she attended as a student. 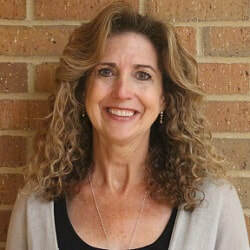 April and her husband, Steve, have four sons whom graduated from The University of Iowa and also participated at the Newman Center as college students. April and Steve are long-time members of the Newman Center's Founders' Club. 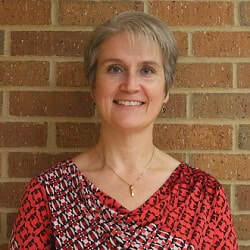 April joined the Newman Center staff in October 2016. Mary Rae Meyer is new to the Newman Center as of August 2017. She has lived in the Iowa City area with her family since 1999. She is a member of St. Mary's Parish as well as a graduate of The University of Iowa. Mary Rae and her husband, Ron, have been married for 23 years, and have a son and a daughter who are both recent graduates of Regina. 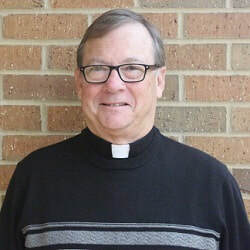 Deacon Joe is a deacon of the Diocese of Davenport, and is assigned to the Newman Catholic Student Center, St. Mary Parish, and the Diocesan Office of Social Action. He is a civil and environmental engineer. Katie is a math and religion teacher in the Regina Junior and Senior High School. They have three children. Joe is a native of Long Grove, Iowa and Katie is a native of Dubuque, Iowa. Both are alumni of The University of Iowa and have been involved at the Newman Center for nearly two decades. Ronda Lipsius has been at the Newman Center for 11 years. Ronda manages the office, oversees the annual Clothing Drive, Angel Gift Tree Project as well as the Newman Center Free Lunch serving team. Ronda and her husband, Mark, have been married 35 years. They have one son, two daughters, and two granddaughters. 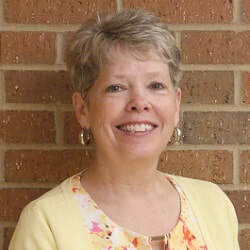 Ronda also serves as Co-Executive Director of the Free Lunch Program of Iowa City. Mike Leuck is the friendly face at the front desk providing hospitality and greeting all those who enter the Newman Center for the last two years. He also serves as the Sacristan for Newman, making preparations for liturgical celebrations. 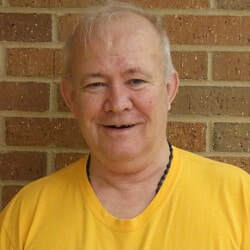 Originally from Moline, IL, Mike has lived in the great state of Iowa for more than 40 years. He has held many jobs over the years and his favorites have been in sales. Mike loves to talk and can chat with the best of them. Stop by and see him! 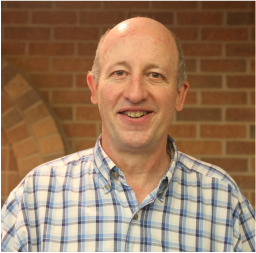 Dan Teets is Director of Adult Spiritual Formation at St. Mary Church and Director of R.C.I.A at the Newman Center. He works with adults interested in finding out more about the Catholic faith and Catholic adults who wish to deepen their relationship with Jesus. Dan also works full time at the University of Iowa Libraries in Acquisitions and Cataloging. Dan has been happily married to Janet since November 1989. They have five beautiful daughters and a handsome son. Dan's greatest joy in life is sharing the Good News of salvation available through Christ with others. In his free time he enjoys being with family. We are grateful to Father John Paul and Fr. Bill who celebrate Mass at the Newman Center. Fr. Bill Kaska was ordained a priest for the Diocese of Davenport in 1969. He is retired but helps out occasionally with Masses at the Newman Center. Before retirement he was one of the Catholic chaplains for 10 years at The University of Iowa Hospitals and Clinics.